All you need are plastic cups, balloons, duct tape and ping pong balls. I made these last week for Connor and a few of his friends. I made 4 of them in about 10 minutes so this is definitely an easy craft project. Step 1: Cut the bottom off of the plastic cup. Step 2: Wrap duct tape around edges because they are a little sharp. Step 3: Tie end of balloon. Cut other end of balloon. Stretch balloon over wide end of cup. That’s it! Now watch the kids have a blast shooting ping pong balls around the house. And if you don’t have ping pong balls, you can use marshmallows, beans, pom poms, and even paper balls. 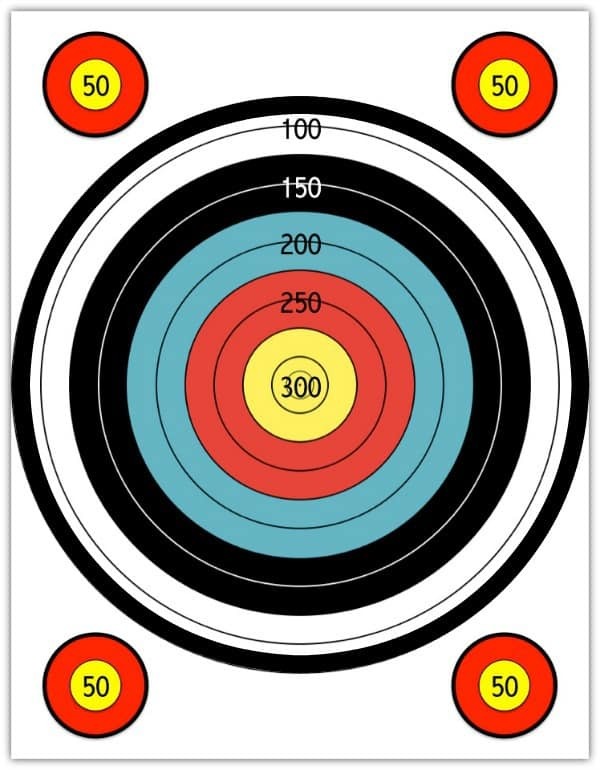 Connor then decided it would be fun to hang a target on the wall so he and his friends could shoot the ping pong balls at the target. They made up a game where the first person to reach 1,000 points wins. I was impressed to see that they wanted to play a game that required math. Right click on image to save and print. So what are you waiting for? 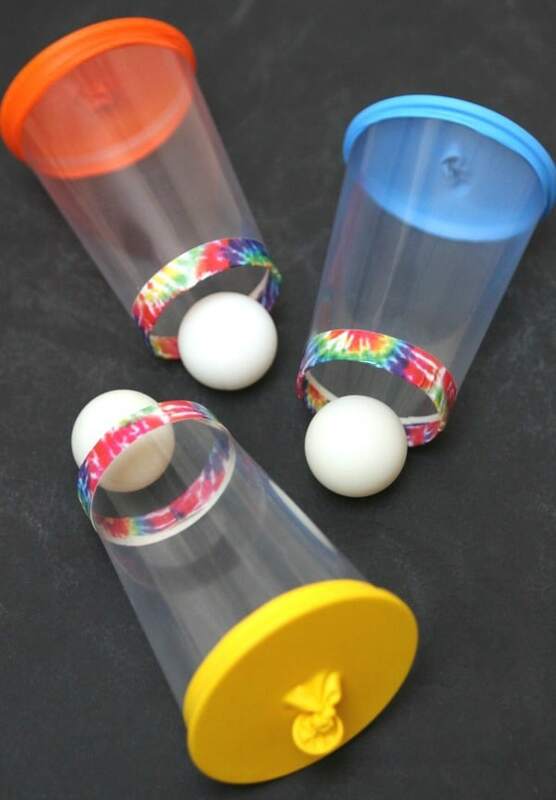 It’s time to make some balloon cup shooters! This month’s Craft Lightning series is all about keeping kids busy so check out all the fabulous ideas everyone is sharing. These are so much fun! I can see my kiddos playing with them for hours! Really a good option this will not only keep kids busy in playing but also will make them to think about creativity. What i do not realize is in fact how you’re now not actually much more smartly-liked than you may be right now. You’re very intelligent. You understand therefore significantly in relation to this subject, produced me in my opinion imagine it from numerous various angles. How do you cut the plastic cups? and what size balloons did you use? I really want to do this tomorrow.